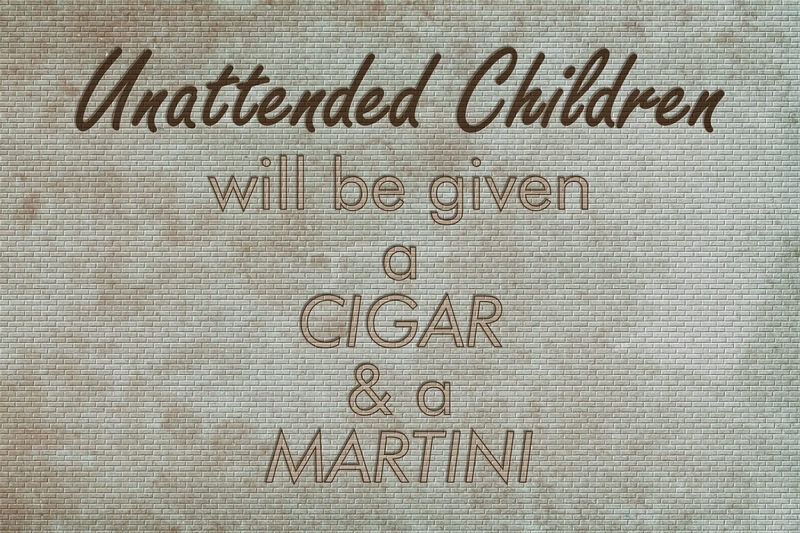 Melange Tulsa Graphics: FREE Word Art- "Unattended Children Will Be Given A Cigar and A Martini"
FREE Word Art- "Unattended Children Will Be Given A Cigar and A Martini"
Click on the image to go to the original image, then right click and save the image to your computer. Please do not link directly to the image. I will share more of my artwork soon. If you like what you see in my blog, please consider making a donation. We run a small animal rescue and could use assistance right now.